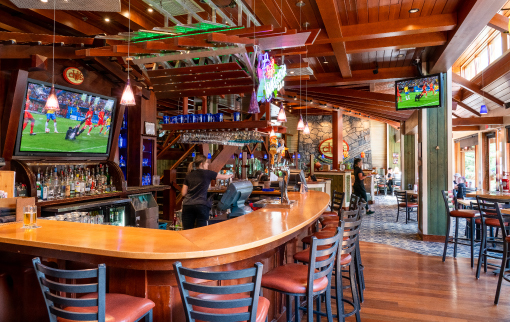 Chili’s at the Fox Hotel & Suites, quite possibly the nicest Chili’s on the planet, in the world’s most beautiful National Park. 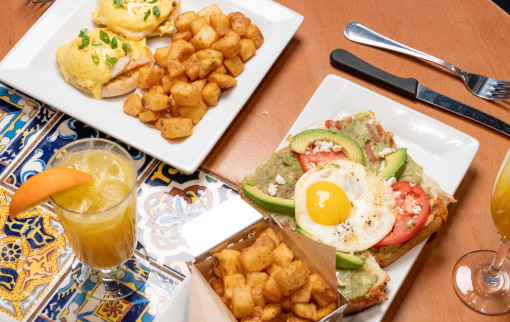 Take your taste buds to whole new level with Chili’s great choices, including those classics like Baby Back Ribs and Big Mouth Burgers. 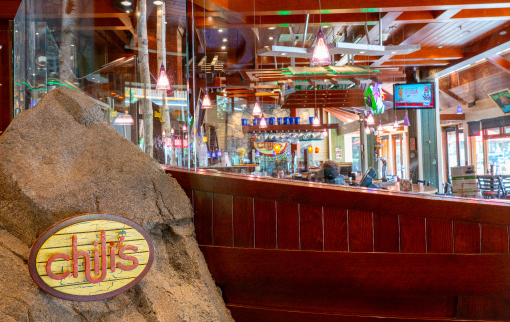 Big bold flavours are the signature of the Banff Chili’s! 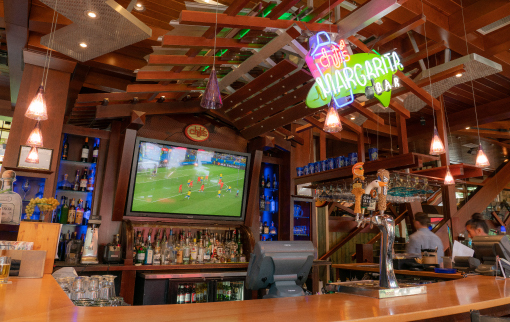 Be sure to check out the Margarita Bar in our lounge, no one does Margarita’s better! 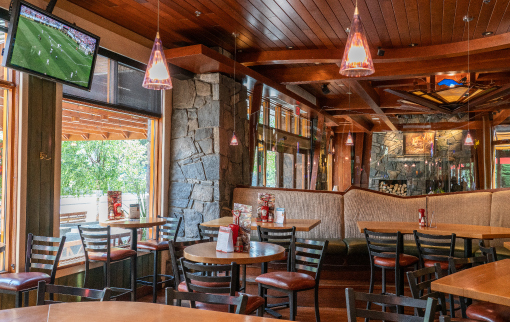 Hang out, relax and enjoy the mountains or take in a sporting event on the 60″ plasma TV. 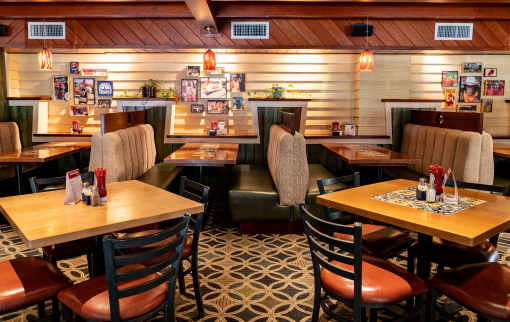 Winter or Summer Chili’s is where it’s at. 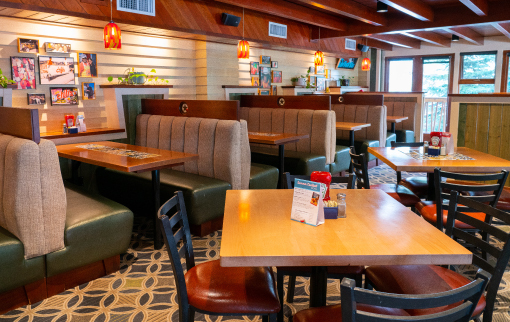 Hungry for Chili's, but short on time? 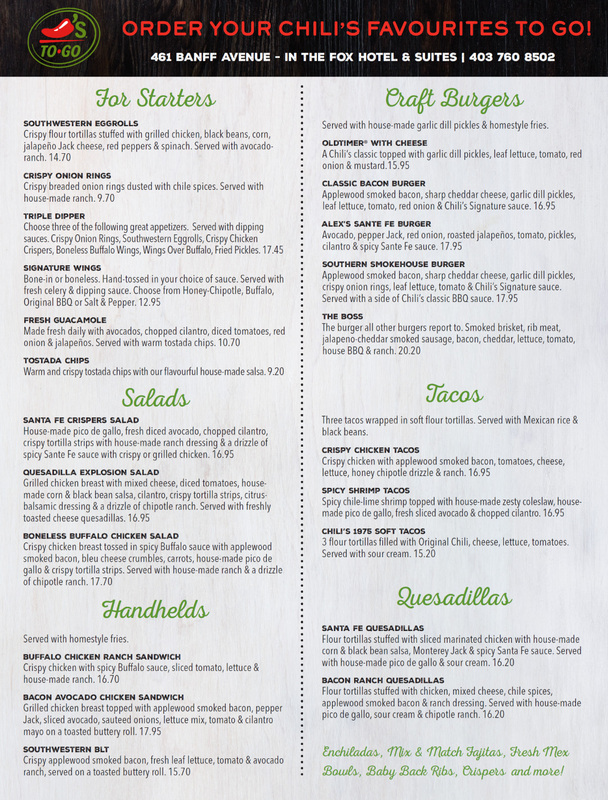 Pick up your phone and order Chili's To Go. 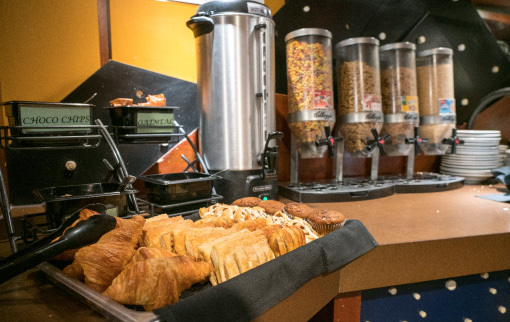 Free continental breakfast is available to all guests staying at the Fox Hotel & Suites. 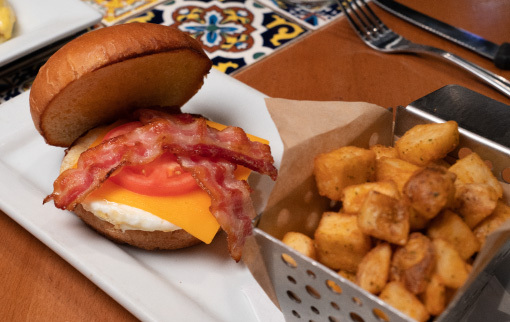 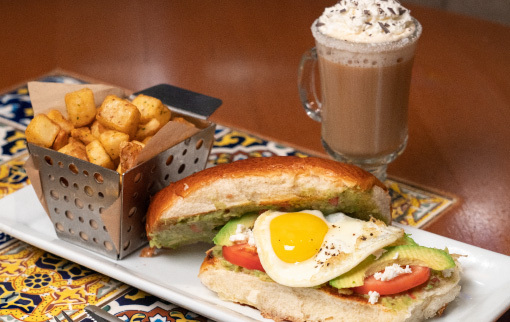 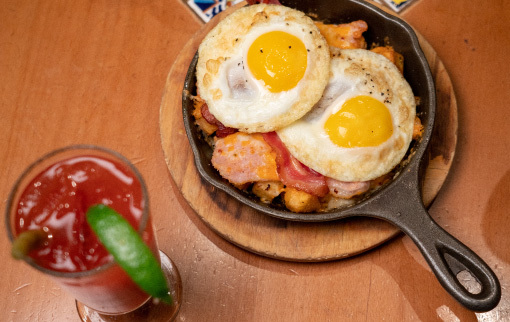 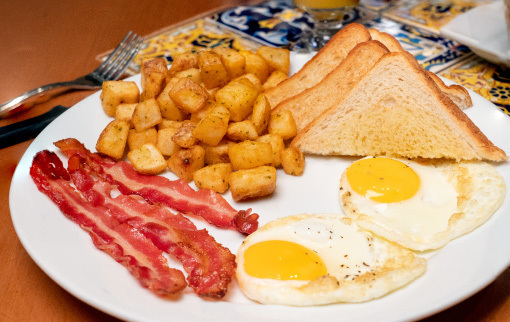 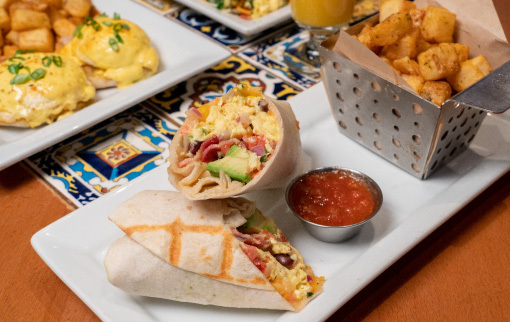 The continental breakfast is served at Chili’s Restaurant, just off the Lobby. 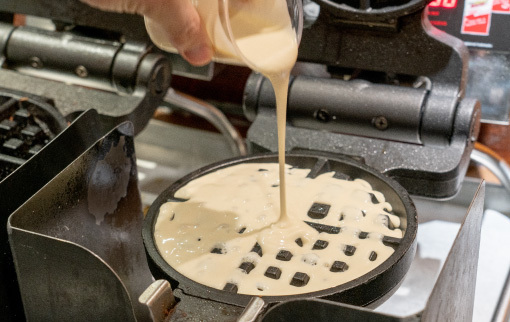 Items offered: yogurt, fresh fruit, muffins, toast & jams, Coffee, Tea, Juices, and our make your own waffle station. 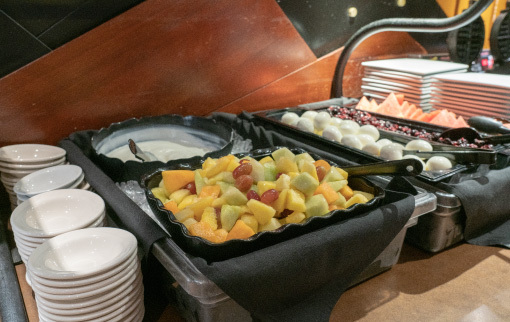 Continental breakfast is included if you are staying at The Fox Hotel & Suites but if you are looking for a little something more than just continenal breakfast we now offer a great a la carte breakfast menu.